The Swedish Folkskola (compulsory primary education) celebrates 175 years, which is commemorated in a playful exposé of the teaching profession and by showing the development of the school system from the 19th century to the present. The exhibition features wonderful imagery from readers, Christmas magazines and the children’s book series Saga. 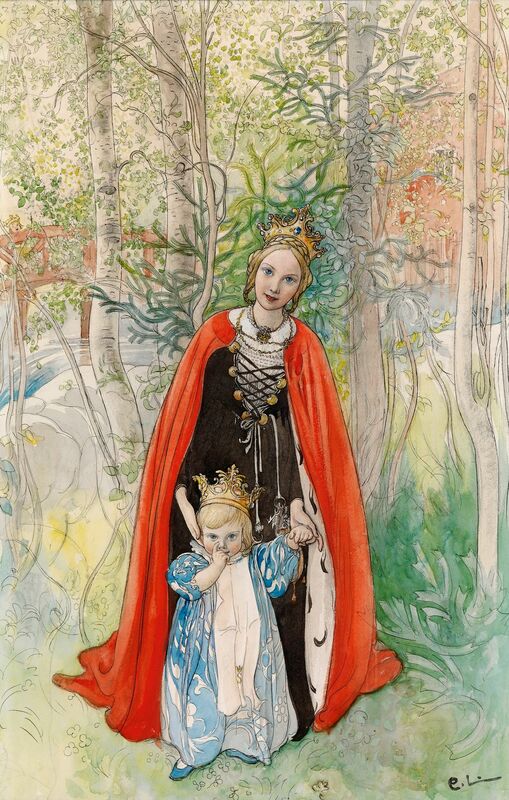 Also on display are a large number of original illustrations by well-known Swedish artists such as Carl Larsson, Jenny Nyström, Elsa Beskow and Einar Nerman, as well as studies and sketches by Prince Eugen for works in schools and public spaces. A Fairytale School is arranged in collaboration with a number of Swedish educational and cultural organisations: Lärarstiftelsen, Sveriges Museer, Sveriges Hembygdsförbund, Svenska Barnboksinstitutet and Lärarförbundet. The exhibition opens at Prins Eugens Waldemarsudde and will subsequently be shown at seven regional museums around Sweden.